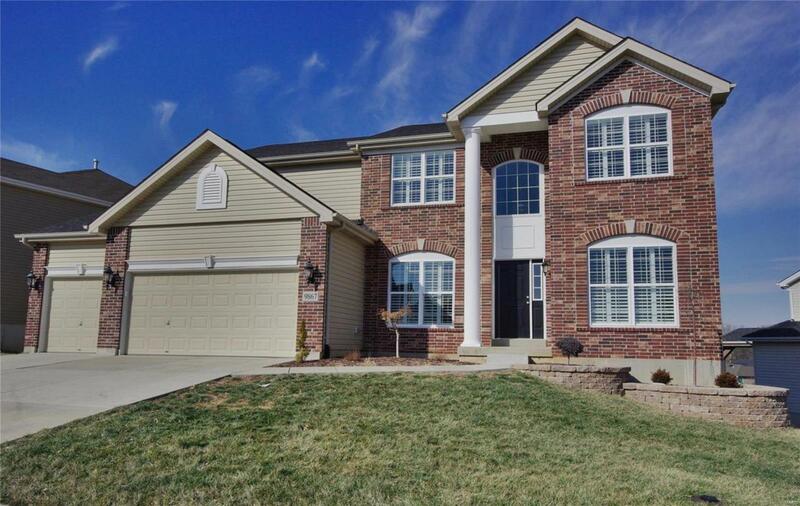 Spectacular 4 bed, 2.5 bath, Grants View home in Lindbergh School District on a premium lot. 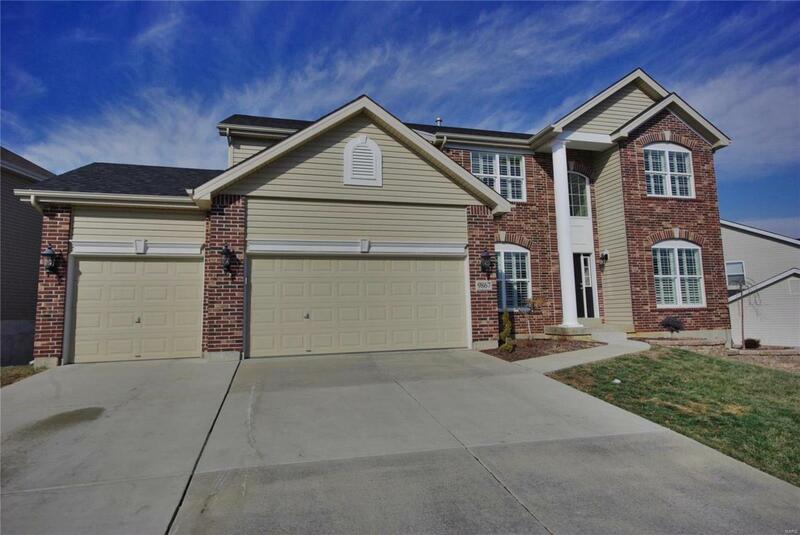 9 ceilings, open staircase, gas fireplace, hardwood floors, 2 large bay windows, and 3-car garage. Gourmet kitchen with center island, 42 custom cabinets, stainless steel appliances, and pantry offers abundant storage. Dining room opens to extra-large composite deck with stairs to yard. Laundry room includes cabinets & utility sink. 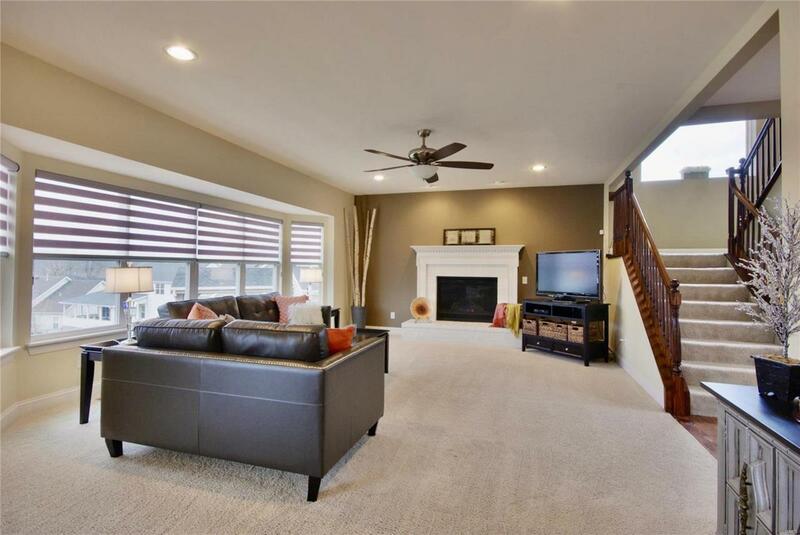 Master bedroom retreat boasts sitting area addition, his & her closets (hers is huge walk-in), tray ceiling, upgraded master bath with dual sink vanity, jet tub, & sep shower. Additional spacious bedrooms share an expansive bath with 2 vanities & private WC/shower. Basement with roughed-in bath & walkout to stamped patio extending the length of the house provides an opportunity to expand your living area. 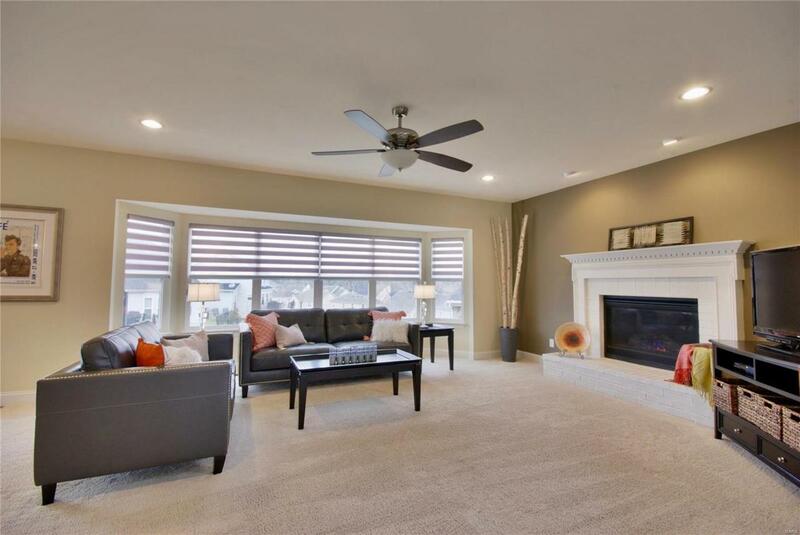 Zoned heating & cooling, irrigation system, security system, central vac, plantation shutters, and more. Walk to public library, Grants Trail, & Grants Farm.